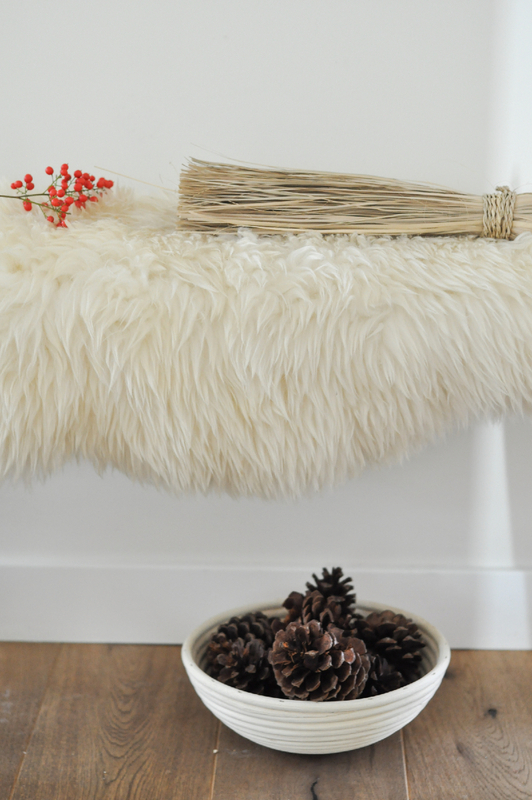 Zero Wast Holiday Decor • Foraging — To Be Magnetic™ | Manifest the life you deserve for less than a dollar a day. I LOVE Christmas!!! But I hate the commercialism that comes with it. I think most of us can agree that we love this time of year because of the magic it creates. Max and I depart for Portland in two weeks, where we’ll stay for the rest of December; therefore, I vetoed the concept of decorating. I opted to simply watch holiday movies and call it a year. Then I realized that I was getting very depressed. So I did just what I needed to do, for me. I completely cleared my morning schedule yesterday and I went foraging for my favorite holiday decorations. It’s encouraging that they are all zero waste, compostable, or vintage! I figured I’d spread the cheer and share some ideas that have less of an impact on our world – especially our ocean. BEESWAX CANDLES | You guys have heard me go on and on about these since the first week of starting this space. Not only are they incredibly medicinal and cleansing, but they add the warmest, natural touch to the house. I also love the Swedish holiday feel they produce. FORAGING | Like a mad person, I head to Los Feliz Blvd and forage holly, pinecones, berries, and branches. I do this yearly, and nothing feels more grounding. I advise to explore around your neighborhood. 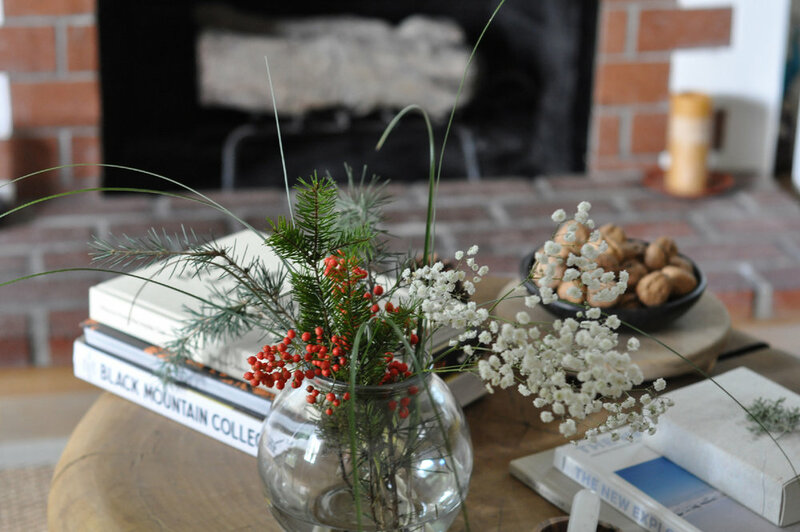 You’re sure to find the perfect greenery and berries. CITRUS | My grandmother would always place an orange at the toe of my mother’s stocking when she was young. It’s such a beautiful and old traditional decoration. Citrus is truly my indicator that winter and the holidays have arrived in LA. Because so much citrus goes to waste on trees in my neighborhood, I forage these at night. Shhhhh. Don’t tell! 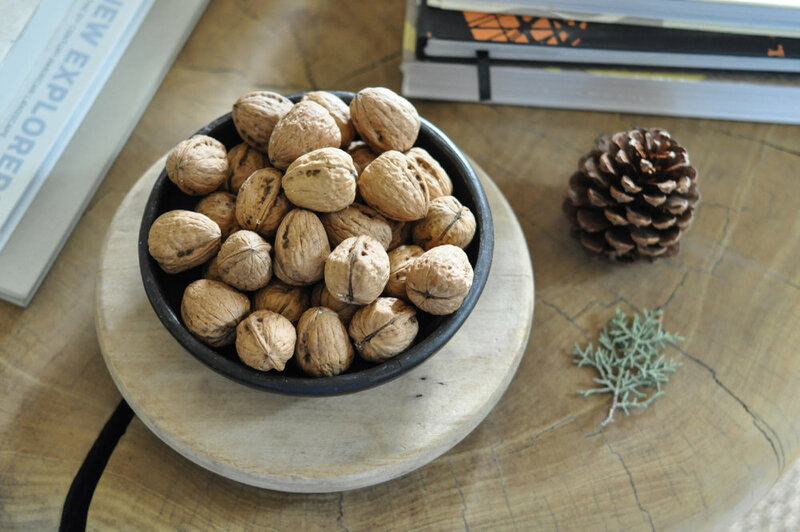 NUTS | Pecans and walnuts in their shells, in a beautiful bowl, are another natural stunning décor idea. I’m on the hunt for the perfect nutcracker to go with them. I love going to see professional ballets perform The Nutcracker in LA. I love projecting my favorite holiday films on the wall in the living room. This is my all-time favorite. We usually pop organic popcorn with coconut oil, nutritional yeast, and Himalayan salt for this. And we tend to sip holiday tonics. I love going to fancy dinners that feel cozy and warm around town. The easiest Less Waste wound healing and bacteria killing mouth rinse. Again, because I'm feeling guilty about my plastic mouthwash bottles ending up in landfills and the ocean when "recycled". Because I'm feeling far too guilty about the two toothpaste tubes I toss monthly that end up in landfills/ the ocean.